These hand-painted craft and DIY project tutorials share two main ingredients: a set of acrylic craft paints and the desire to get creative. Come see what you can create in an afternoon or two. For a complete list of projects that do not require any power tools, go here. Acrylic craft paints have really improved over the years. Today, you can buy inexpensive sets in a variety of colours and finishes (satin, pearl, glitter, chalkboard…) that work on different surfaces, and wash up easily with soap and water. I like ones like the Martha Steward brand because they work on wood, glass, metal, and fabric, and are weather-resistant for outdoor applications. You do need to read the labels first though. Some paints are durable but only after they have cured (completely drying and adhering to the surface). The Martha Stewart paint label says to allow 21 days to cure. Keep your paint containers stored upright and always be sure to close the lids nice and tight when not in use. Do not leave the lids open while you’re working: acrylic paints dry quickly when exposed to air and this can gum up the paints in the containers. If you have a lot of colours like I do, dab the lids with the paints so you can see the colours at a glance. Use a plastic plate or lid as a palette. Dispense the paints in smalls amounts to avoid waste. A little goes a long way. Acrylic paints can be combined and blended to create new colours. Also, try adding black or white to any colour in varying amounts. This will provide a whole range of colour values. Never leave your brush sitting in water. You can get brush holders if desired which suspends the brush without harming the bristles. Clean brushes with soapy water, and rinse and dry thoroughly after use. Store them laying down so there is no stress on the bristles. 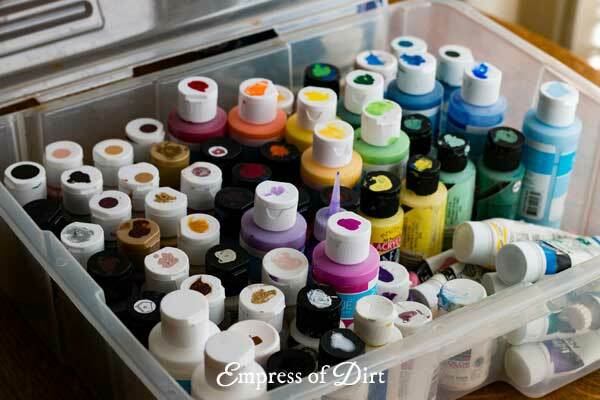 Here’s are the craft paint tutorials on Empress of Dirt. A step-by-step tutorial by Sehnaz Bac, showing the layering process to create these beautiful birds. Sehnaz Bac shares her method and the materials for creating owls and other designs on flat stones. Want something bigger? 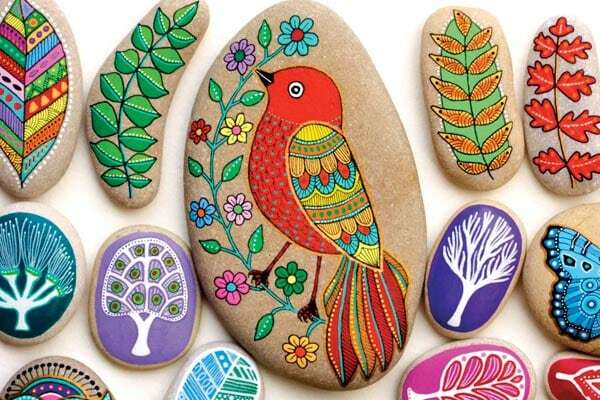 See how to create animals and other designs on rocks. It’s art for the home or garden. The same materials used to paint stones and rocks can be used on items like clay pots. I wanted something to represent the strawberries while waiting for the fruit to grow. A giant strawberry sign does the trick! If you choose craft paints that work on a variety of surfaces (like these ones), you can easily turn items like these old cabinet drawer pulls into ‘flowers’. This one does not use acrylic craft paints but I have included it because it offers a good introduction to painting if you are new to it and want some structure to guide you. 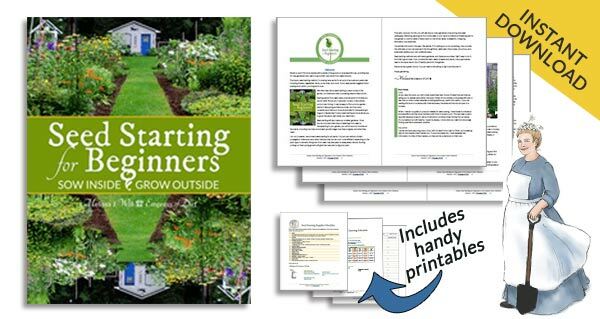 Artist Kristi Rice has created these watercolor painting books, just like adult coloring books, for anyone wanting some guidance with watercolor painting. It’s very relaxing. Years ago, I shared some shoes my daughter had customized with paint. There were so many questions from readers that I wrote an ebook to cover all the basics. 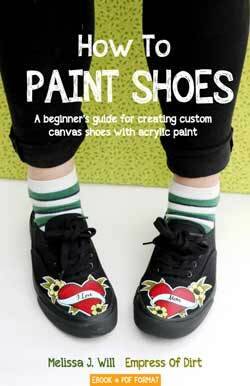 Click here to see more of How to Paint Shoes. 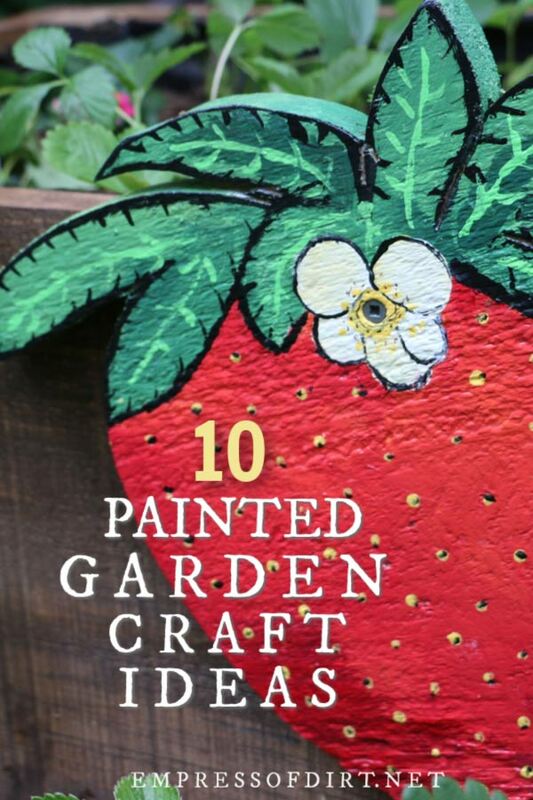 Scrap wood and craft paints are a garden art marriage waiting to happen. I wanted to add a punch of colour to back of my garden, so gave some old birdhouses a makeover. As mentioned, clay pots are easy to paint. These ones were tranformed into simple lighthouses with lamps on top. Magical Mini Fairy Doors are a tiny version of a full-size optical illusion mirror I made for my garden. With a small mirror and some fine wood, you could create all sorts of little doors and windows that give the impression of a secret world beyond the wall. Now go get some paints and get crafty. Love getting your newsletters, Melissa! So many creative ideas! I’ve started painting on stones and just bought Martha Stewart satin acrylics as you suggested. When painting small stones, how much can you thin down the paint to get into small areas? I didn’t realize how thick this paint was. Thanks so much! Hi Carrie, Great to hear you are trying the stone painting. There are a few tricks for getting fine details with these paints. 1. Try different tools. For example, when I want fine dots of paint, I use the ‘wrong’ end of the paint brush (instead of the bristles), or the tip of a fine bamboo skewer. 2. You can thin the paint with water. Most of the craft paints I have tried accept about 30% water, mixed in, and still work nicely. Some can be watered down more but this also dilutes the color. You might want to have a stone dedicated to experimenting with different approaches to figure out what works best for you. Most helpful, Melissa, thank you so much! I do like the creaminess of the M. Stewart paints so I’ll test out thinning them. Yes, I have stones I use for experimenting on with paint and pens. I also bought The Art of Stone Painting as you suggested. Such inspiration! Great ideas! I always enjoy your newsletter. Thanks so much for sharing!